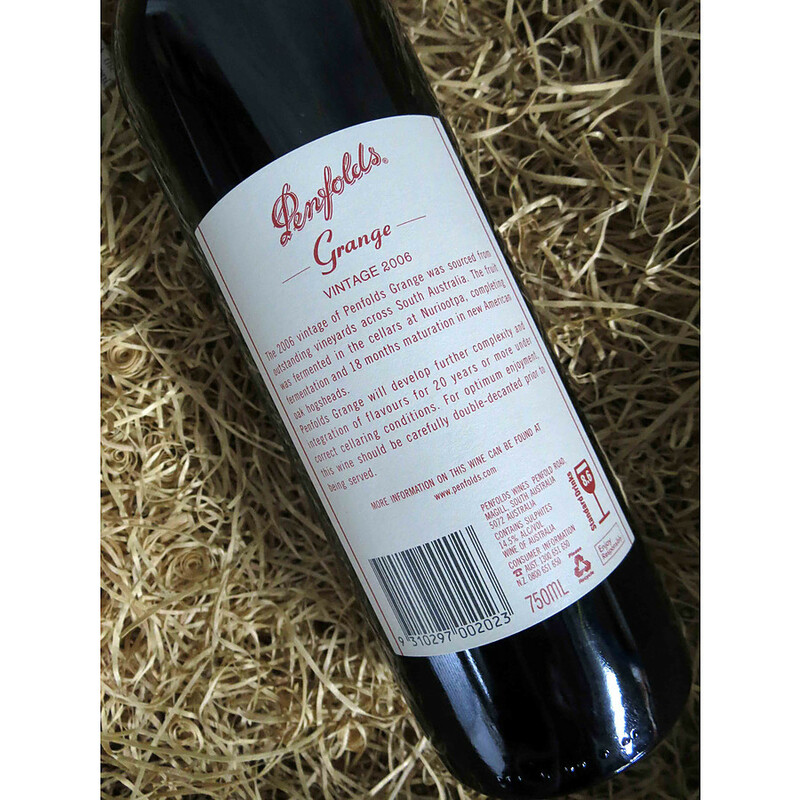 4	stars -	"Review for Penfolds Grange Vinatge 2006 750ml" Dale Carter This Penfolds Grange Vinatge 2006 750ml is the best Shiraz I have tried. budburst and flowering. Mild to warm weather throughout summer helped the fruit to mature well and assisting rains prior to harvest allowed fruit to ripen with good varietal character. FOOD MATCHES Mayura Wagyu, sweetcorn, house-sprouted legumes & crisp sprout leaves. COLOUR Deep blood-red, dense core. Arabica coffee-bean and soy. Background nutty oak (Brazil nut) beneath, yet barely noticed. PALATE Freshness and balance are welcomed, yet confuse... a few sips remind of the oft-used reference 'iron fist in a velvet glove'. All is not as it seems! Firm throughout and across palate – reverent tannins and oak convey & propel flavours of slow-roasted lamb (avec jus), dark chocolate, cola, maraschino, with a menthol/rosemary lift to finish. Alluringly, a plush satin/cashmere mouthfeel compounds the initial confusion - accessible, yet poised to evolve and complex over many decades.